There is a huge selection of contact lenses available to people who require vision correction, which can cater for almost every taste and eye prescription, one vision expert has pointed out. Dr Susan Blakeney, clinical adviser at the College of Optometrists, told the Press and Journal that vision correction has come a long way in recent years, which means there are now many options open to people looking for clear vision. 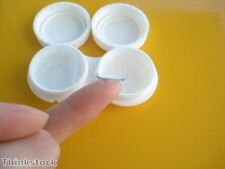 She explained that the key thing to remember is that people need to buy high-quality, official contacts from a reputable supplier, and never be tempted to buy lenses which have different prescriptions to what they require. "If you do get lenses online, it's really important to ensure you only get the same type of lens that's in your contact lens prescription. Don’t be fobbed off with a cheaper type - you might be saving yourself money but storing up problems, as they might not be suitable at all," Dr Blakeney added. As long as people follow these key nuggets of advice, they should not encounter any problems with their contact lenses and benefit from the range of vision enhancements that the products can provide, the expert concluded.